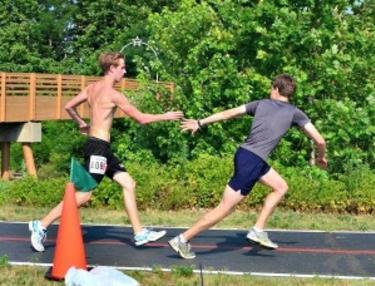 Hendricks County&apos;s popular Summer Fun Run Series begins Wednesday, June 1 and runs through Aug. 24. Every Wednesday a 5K and 1-mile run/walk takes place at one of our beautiful parks or trail systems. Start time begins between 6 and 7 p.m., and no registration is necessary. Why is this series so popular? First, both seasoned and beginner runners/walkers find these courses enjoyable and beneficial to reaching their goals. If you want to be timed, a few courses will offer this option. Click here to view these courses. Secondly, it provides an opportunity to gather family and friends together for a healthy, outdoor activity. 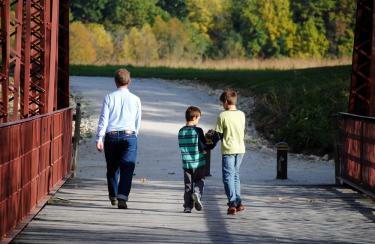 In addition, Hendricks County parks and trail systems are top notch and certainly worth checking out! Finally, the series is FREE and offers a "Free T-shirt Challenge" if you participate in at least ten events. Click here for the entire summer schedule. Here is a list of June dates and locations. 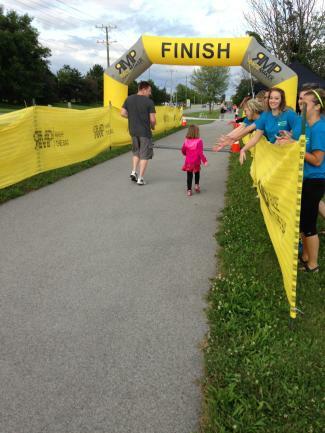 Several other running/walking events will take place this June in Hendricks County. Mark your calendars! When: Saturday, June 4 from 2-4 p.m.
Park Naturalists lead this hike and share the history of the park, as well as, how to support our National Trail System. All ages are welcome to this free event and registration is not required. Click here for more information about this event and other park events. When: Sunday, June 5. Individual and team (3 people) begin at 7:30 a.m., Kid "Pro" starts at 9 a.m., and Kid "Rookie" starts at 9:30 a.m. Distance: 600-yard swim, 10-mile bike ride, 3.1-mile run, Click here for kids triathlon distances. Money raised from this event goes toward the "Kendra&apos;s Call For Komfort" foundation. Register here. When: Saturday, June 11. Start time for 20-mile team relay is 7 a.m. and the 5K begins at 8 a.m.
Relay teams are made up of four members each running a total of five miles. There are three legs to this event. Each member will run one mile, then three miles and one mile to finish. This event showcases the amazing Plainfield trails system. Both the start/finish line and relay exchange area are located at the Recreation and Aquatic Center, which boasts a festive atmosphere! Buy-one-get-one-free passes to Splash Island Family Water Park will be offered. Proceeds benefit the Parks Foundation of Hendricks County. Participating in this event will help "enhance and expand the recreational and fitness activities within Hendricks County." Click here to register. When: Saturday June 25. The 1/4 Slab Kids Run begins at 6 p.m. and the 5K Rib Run begins at 6:30 p.m. This flat course runs through residential neighborhoods. Last year many of the residents were outside cheering on the runners/walkers (A few kids were even giving out high fives!). This year organizers have added the option to participate in the "Sloppy Rib Run." Challenge yourself to run and eat up to five ribs at each 1K. Of course, you can always eat BBQ afterward since you receive free tickets for food and drink at the popular Hendricks County Rib Fest! Delicious BBQ, carnival games, live music, a hot air balloon glow and a phenomenal fireworks show make this a "summer bucket list" event! For a complete list of events, click here. Register here for the Rib Run. Join the fun and stay fit this June! Be sure to check out the Summer Fun Run Series and all the running/walking events Hendricks County has to offer!